When you’re in the process of preparing to build a new home it’s hard to imagine that before you even start to build, it pays to think about the window treatments you would like to have. Ideally you need to bring in an expert to assess the best treatment for each window in terms of sunlight, privacy, sleeping requirements and aesthetics. Often, however, window treatments are thought about just before you are due to move in, but it pays to think about them at plan stage to avoid costly oversights, and ensure you’re going to have exactly what you want. So why think about it so early on? The window type can determine the outcome, for example, a corner window is most likely to have light bleed (when light comes through the edges) if blinds are used, so you need to decide early on how important that may be and if you need to change the window type, or change the window treatment (for example, curtains will work well for a corner window). Reviewing window recesses to ascertain depth and what treatment may fit in the reveal and if, for example, window winders are going to affect the treatment. If this is reviewed at the planning stage, you may be able to change the window mechanism, or even change the window type, depending on what you’re trying to achieve internally, so you get your desired outcome. 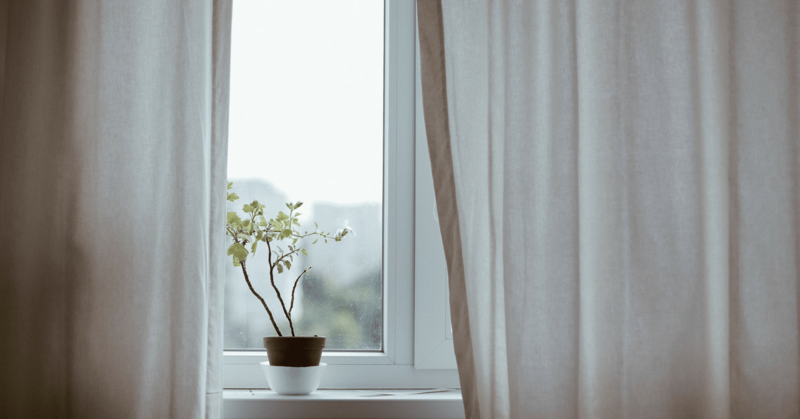 You may really want to have curtains, however, there is not enough wall on either side to draw the curtains back (what is known as ‘stack back’), meaning that the curtains will cover some of the glass when drawn, and this may impact light penetration into the room. However, catch this early on and you can move the window to allow for the stack back! Built-in pelmets should also be considered as these hide the hardware of blinds and curtains and create a seamless look. The pelmet becomes part of the ceiling, which is done at framing stage – it’s not something you can put in later on, so it’s imperative they are on the plans. Motorisation for blinds is also something to decide on, ideally no later than framing stage as the electrics are installed at this stage. This ensures there is provision for any motorised blinds, which in some instances will be required due to regulations whereby a chain must be fixed to the wall. If you have a wide window, and no fixing point, you will have no choice but to have motorised blinds. Avoid having to put holes in the plaster later on, by getting this all sorted out on the plans. 1. Curtains act as great insulators by keeping the heat in during winter and blocking the sun in summer. There are many modern styles available and stunning fabrics, so also suit modern homes. They also block out light completely, so are great in bedrooms. 2. Sheer curtains ‘dress’ a window and soften window frames, so provide a beautiful aesthetic as well as creating privacy. Sheer – create privacy by being able to see out, but not able to see in, and also allows light to come into a room. Translucent – allows light to come in, however is not possible to view out or in. Block out – complete block out of light and sun. With a little forward planning and talking to the right expert, you’ll be able to plan for, and ensure you have the exact window treatment you’re after.